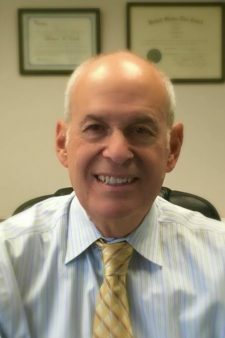 Michael H. Erde is an experienced elder law attorney. He makes the planning process as simple and easy as he can, and at the same time, ensures that you have the best estate/asset protection plan available for your specific family situation. He wishes to provide peace of mind for you and your loved ones. Contact him at (773) 286-3800. It can be difficult to come into an attorney’s office and talk about your most personal affairs and concerns about aging, your health, and your legacy. But that is what you must do to safeguard your estate, and more importantly, your peace of mind. In the complex world of elder law, you want to make sure you have someone caring for your best interests. My spouse is sick. We just moved him to a nursing home. How do I keep our home? What if we outlive our assets? I am calling about my widowed mom who has Alzheimer’s disease. This is the tenth time she has signed and sent a check to her Chicago electric company, but with no dollar amount filled in. Can I create a power of attorney or do I need a guardian? Our son has special needs and has lived with us all of his life. How do I create a special needs trust? How do I create a guardianship? I am afraid that my children will not be responsible with the money they inherit. How do I make a trust that will take this into account and safeguard my legacy? My children have some rivalry going on, and yet, I want my eldest to be the executor of my will or trustee of my trust. How can you help me ensure a smooth probate process or avoid probate altogether?